Each year, Franchise Business Review (FBR) surveys thousands of franchise owners. Their goal is to determine how satisfied the franchisees are with their Franchise and then rank and present their findings in their annual Franchisee Satisfaction Awards – known as the Franchise Business Review Top 50 Awards. The Top 50 awards are then presented at the annual International Franchise Association (IFA) convention. 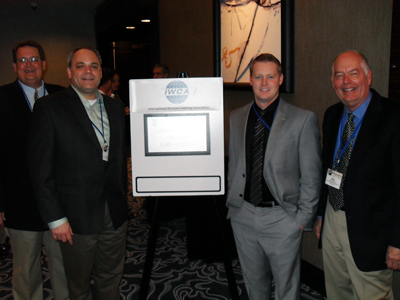 This year’s 52nd annual IFA Convention was held February 11 – 14 at the Orlando World Center Marriott. The convention is attended by hundreds of Franchisers from all over the county. There is a full agenda of seminars, round tables, exhibitions and networking events and the week culminates at the prestigious awards presentation held towards the end of the convention. 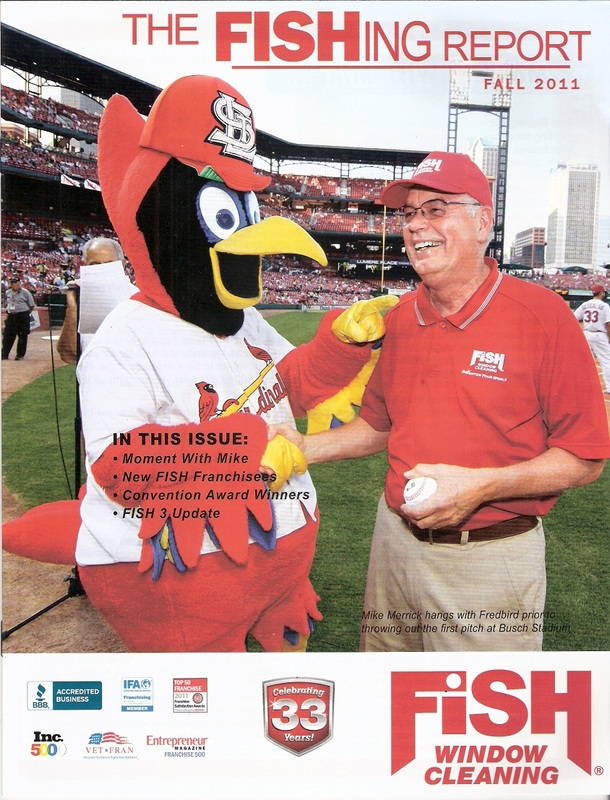 During this year’s Awards Presentation, Fish Window Cleaning was awarded the #14 Ranking in the Franchise Business Reviews Top 50 – Large Class Division. This represents a 16 spot jump from last year. I can probably boil it down to two words: Attitude and Aptitude. You need the right “attitude”, every single day. It’s the “I will succeed” attitude that drives every successful business owner of every business – not just the window cleaning business. By “aptitude” I mean you need to have some inherent skills or the ability to learn them. Goal oriented person. Practically, we want to find franchisees who have a higher comfort level. Someone who easily reaches their comfort level will grow the business until they’ve got a decent income – it’s not hard – and then they’ll level off. We want to find franchisees willing to take the business to the next level. The opportunity is waiting. Sales drive. Once the goal is set and the commitment to service is there, this is a business driven by a determination to hit the street and sell. If you do, you will shine big. The work is there. The money is there. If you don’t regularly sell, you will flop. There is no substitute. Management Skills. The ability to manage employees. If you can’t handle employees, you shouldn’t do this business. Personality. The customer buys your personality while paying for your service. The clean windows consistently come second to the window cleaner. If you aren’t seen as a likeable person, this opportunity may not be for you. Mike Merrick had lost his job as a bank manager when the window washer for the branch said he was interested in selling his business. Merrick looked at the company’s books and was impressed with what he saw–low overhead and virtually no inventory. In 1978, Merrick and his wife, Linda, purchased the company, renamed it, and Fish Window Cleaning was born. Based on growing demand and his success, he realized there was a need for this service in other markets. Mike used his 20 years of experience to create the Fish Window Cleaning franchise system. In 1998, the first FISH franchise location was opened in Tampa, FL. Since then, Fish Window Cleaning has grown to more than 220 franchise territories in 40 states. Thirty years later, the company still maintains the traditional Mission Statement and a Core set of Values it was founded on. Although Fish is now the world’s largest window cleaning company, we will always treat every customer as though they are our only customer. Why Purchase a Fish Window Cleaning Franchise? I wanted to share a prime example why we purchased a Fish Window Cleaning franchise. Fish = Good People with Shared Values. 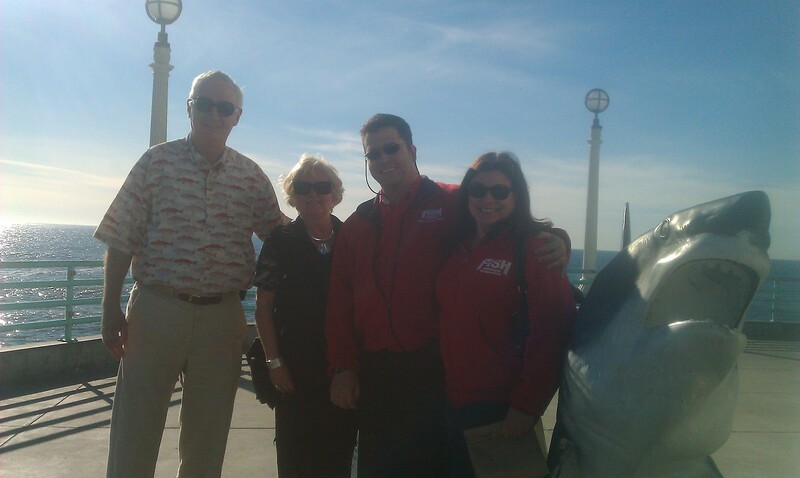 We had a very nice treat the other day, Miles and Jean Roche – Fish Window Cleaning Boulder, CO visited us to talk about our business and enjoy some of our Southern California sunshine. We ate lunch at Rock ‘N Fish Restaurant in Manhattan Beach, CA and then walked down to the Manhattan Beach Pier. My wife Cynthia and I were proud to point out many customers with sparkling clean windows, including: Skechers Shoes #1 (their flagship store), Diane’s Beachwear, Manhattan Beach Post Restaurant, Boy Roy Salon, Pasta Pomodoro Restaurant and many others. Miles and Jean have owned their franchise for 10+ years, are great resources for information and excellent examples of successful people – in both their business and private lives. We love spending time with them and are flattered they chose to spend some of their precious vacation time with us. Following Miles’ and Jean’s example, we can’t wait to visit Colorado! An Afternoon Visit… So What? Fish Window Cleaning is run by good people. Should sharks be scared of Fish? Yes. As a franchise, we work closely together to strengthen our Fish Window Cleaning brand and grow our individual companies, and we treat all corporate employees, fellow franchisees and window cleaners like “Fish Family” members. We are truly there for each other! Again, most companies say that too…So what’s the big deal? During our visit, I realized we share a company name, but we also share common values. Under Mike’s leadership, we start with a strong mission statement that needs to be accepted before purchasing and running a local franchise. Franchisees live in Red States and Blue States, North and South, East and West – but our mission and values are the same. Fish Window Cleaning will dominate the market and be “clearly seen” as the best and most respected window-cleaning company in the world. Superior service to our customers. Unmatched support and partnership with our franchisees. Personal and professional growth to our employees. Understanding and accepting this mission gets you started, but franchisees must also espouse a set of core values before they can wear a Red Fish Shirt. Honesty – You can believe what we say. Integrity – We say what we mean. Promise – We keep our promises. Available – We are always available. No excuses – Do it right the first time. Who wouldn’t want to own/work for a company that says these things, but also does them? Well, I do. And 220+ other franchisees across the country do too! Fish Window Cleaning is run by good, caring, responsible people. When you use Fish Window Cleaning you can expect friendly, professional, trustworthy service. #2 to #7 – We expect these from ourselves too. From our CEO to our newest franchisees, we know putting on a Red Fish Shirt means having 220+ “family members” that are focused on the same purpose and principles. And there’s strength in numbers. We talk on the phone, visit each other, hold regional meetings and all get together at our annual convention to train on the latest window cleaning techniques, learn from each other and continually focus our efforts to help each franchise grow and serve its customers better. 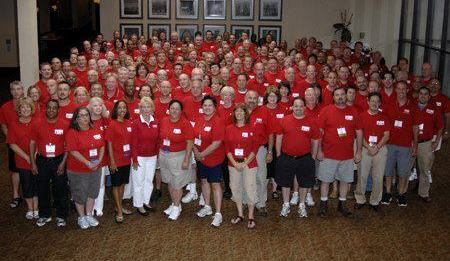 We are in this business together, and we want our fellow franchisees to succeed. #8 We care and we help. 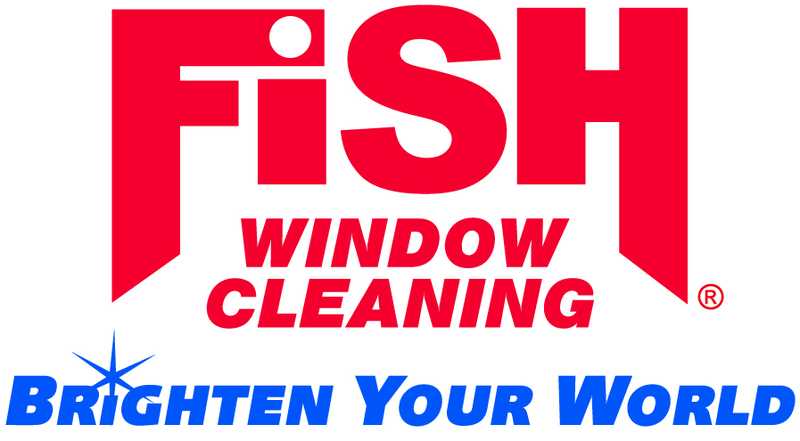 Fish Window Cleaning is the #1 window cleaning company in the United States. So, yes, we had a wonderful time with Miles and Jean the other day. We laughed, shared information and helped each other. By spending this time together, we also lived our company’s final core value. #10 – We have Fun.